Whether you're CEO of a mega-brand or owner of a doggy daycare start-up, investing in your personal brand is always a sound investment in your company. When the individual at the helm has the right image and reputation, they impact everything from boosting the company brand to forging emotional connections with employees, investors, customers, and media. When done right, personal branding builds mind and market share alike and influences the bottom line. Done wrong, it can sap a company's image and financials. This is especially important to remember today, when a CEO's every value, opinion, comment, and characteristic is up for public review. So, how do you get it right? A 30-year Southwest veteran, Gary began his career as Controller, moving up the ranks as Chief Financial Officer, V.P. Finance, Executive V.P. and CFO, and finally CEO and Vice Chairman in July 2004. In 2008, he added "Chairman" and "President" to his resume. This is his story -- and brand. Not too long ago, CEOs were sequestered in their ivory towers, far from the spotlight. But today, the CEO is the face of the company. They must be visible internally, externally, and virtually. "The CEO is in a high-profile role and sets an example," Gary told me during a recent interview. "I try to aspire to set a good one, and model the behaviors that we value and expect at Southwest Airlines." Gary sees part of his duty as rallying employees around an inclusive culture. There has never been a single layoff or furlough at Southwest, and employees are well-compensated -- two traits Gary takes special pride in. "We still believe that we are in the people business, and it's our people that make the culture so strong," he explained. "Southwest has done a great job taking care of people over a long period of time." Gary's leadership style can best be described as collaborative. 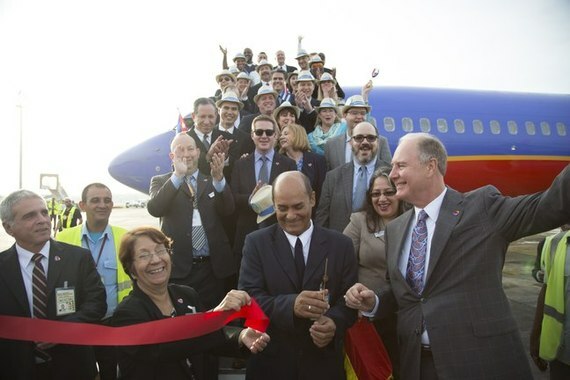 "I really enjoy the team aspect of what we do here at Southwest," he said. "No one person can know or do it all. And the more we can collaborate and work together as a team, the better product we will have." Gary and Southwest also place a premium on fun, even if that's simply bringing people together to celebrate birthdays, share stories, or reward good work. "We always encourage employees to be themselves -- sharing a song, a joke," he said. "It's the little things that make the culture very rich and make the experience of Southwest very different." One of those "little things"? Halloween, when employees get decked out in costume. Gary has gone as George Washington and Gene Simmons in years past. 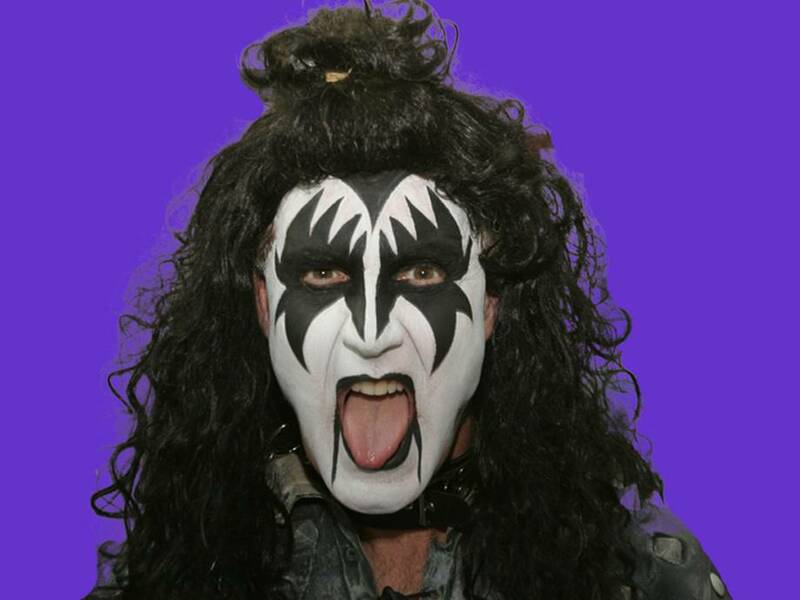 Gary rocks it as Gene Simmons of Kiss at annual Halloween event. Gary knows he alone cannot be Southwest's brand ambassador. At the airline, all employees (more than 53,000) are encouraged to embrace the company's mission: taking care of customers. This philosophy is built into everything from internal emails to advertising and social media. Recruiting the right people is also paramount. Gary believes in "hiring for attitude and training for skill" to perpetuate an already-strong culture. It's not easy. There's a tremendous amount of competition in the airline industry. That's why outstanding services -- and not just attractive pricing -- is key. "More today than ever, [our] service aspect or our people really set us apart," he said. "When I describe service, I'm not talking about first class or frills and amenities. Our people serve our customers as if they were guests in their own home." Many studies reveal employees with high job satisfaction are generally more productive, engaged, and loyal to their companies. There's proof of this at Southwest, where several employees are 40-plus year veterans. Gary notes many of these workers started in entry-level positions and worked their way up to leadership. "Every leader I've met has always made me feel like my work was appreciated and made a difference." "This is my first airline job and I feel I hit the jackpot by choosing Southwest as my last place of employment. I'm 28 and plan to stay until I retire!" "I've never had a CEO of a company walk down the hall and know my name." Modern CEOs are expected to have an active social media presence. They understand that social media increases transparency and accessibility and instills confidence. They're also expected to project a personal brand that aligns with the company brand. Gary and Southwest excel at this, maintaining a fun, cohesive voice across all communication channels. It works. The Southwest fan page has more fans than any other airline: 5.3 million. The experts agree with Gary's approach. According to Allison Kluger, a management professor at Stanford and former producer for The View, "These days, the CEO wants to be visible, serve as the embodiment of the brand and understands that the culture reflects his or her values in a very outward facing manner. Today's CEOs want their values to permeate the company brand." As with any major company, there have been challenges. Still, Southwest has managed to grow spectacularly regardless of spiking energy prices, fierce competition, and recessions. The company is always innovating. Consider its new, just-launched reservation system. And late last month, the airline added Havana as its 100th destination. Gary is confident that there is potential to add 50 more North American destinations. He believes there's even more ahead: "We have huge opportunities to grow the airline over the next five years. I think Southwest airlines is one of the top companies in the world, not just the top airline." He adds: "The focus on the reliability and hospitality will be very important to sustain that." My takeaway from chatting with Gary: CEO reputation is the new currency, and will no doubt increase in value in the years to come. In an increasingly connected and transparent world, keeping a low profile is no longer an option. There is a huge opportunity in which CEOs can share their company story and join the conversation. Here's to defying gravity.